Let’s all donate to Planned Parenthood. While some want to take away our rights, we can make Planned Parenthood stronger. I want the money to be put to a no cost abortion for a women who had to make a tough choice, that is no ones elses bussiness. 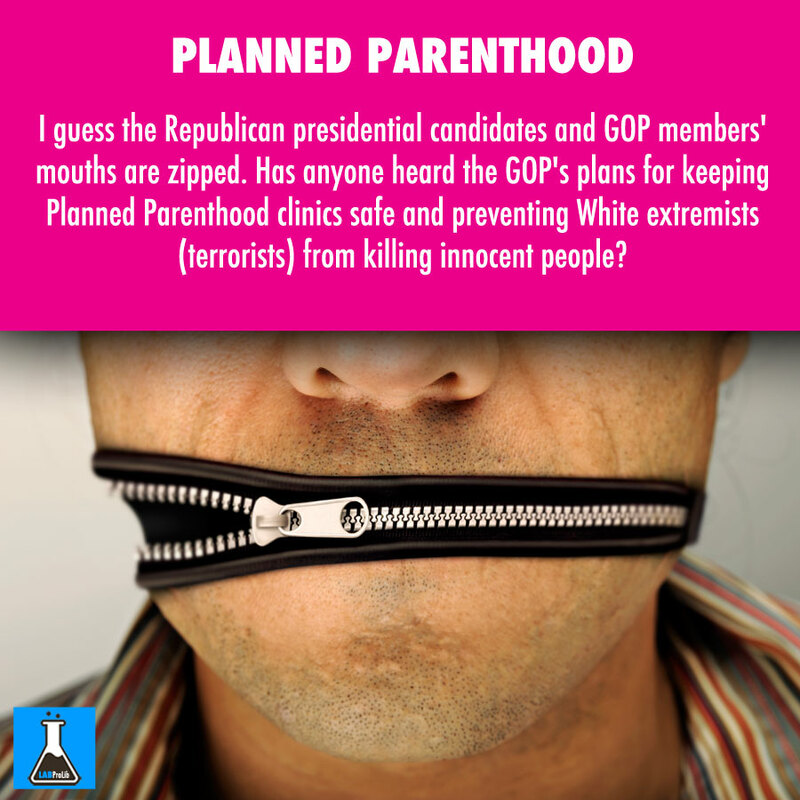 PLANNED PARENTHOOD: I guess the Republican presidential candidates and GOP members’ mouths are zipped. Has anyone heard the GOP’s plans for keeping Planned Parenthood clinics safe and preventing White extremists (terrorists) from killing innocent people? How does Planned Parenthood actually use those government dollars? And what is it America has failed to hear?